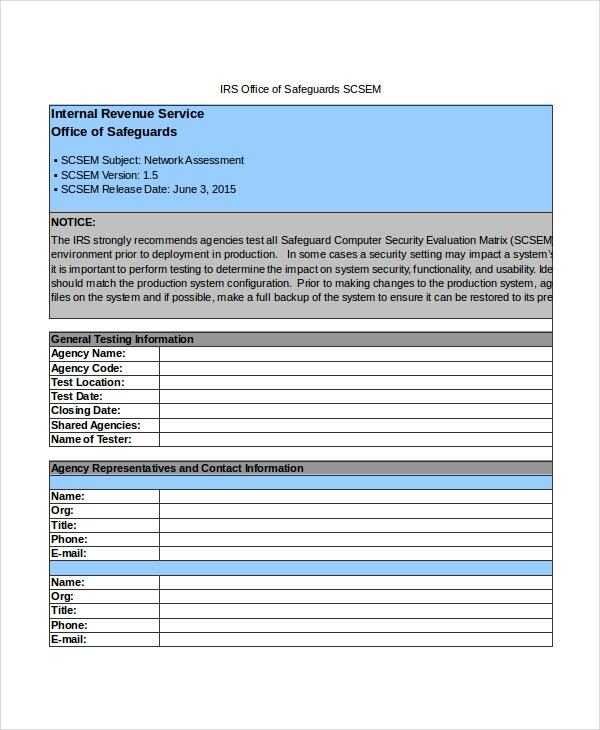 A Network assessment template enables assessment of security threats, identifying possible causes and mitigating risks. They provide comprehensive safety measures to protect and use network systems with great care by drafting various policies. They help to protect servers and company information, and ensure perfect data back up and workstation set up. 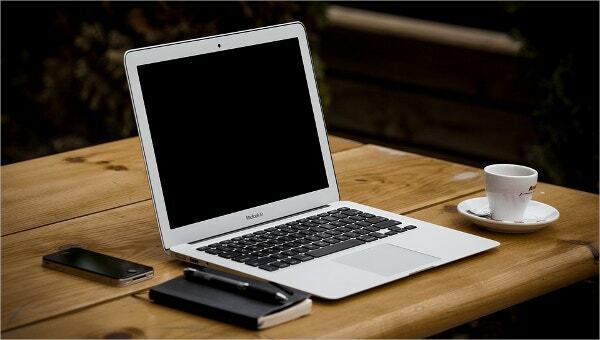 They provide cost saving methods for setting network systems and help to enhance network performance. One can search Google using network assessment document, project assessment templates or network risk assessment templates and find more details about them. 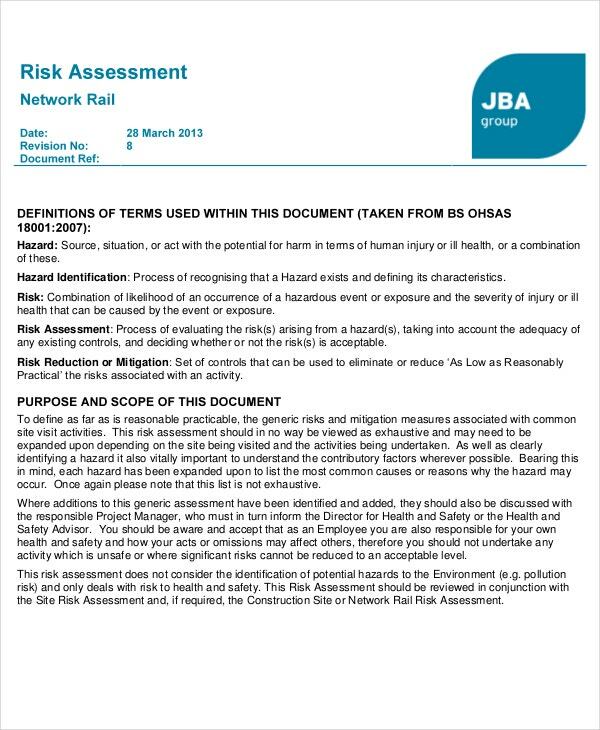 This network rail risk assessment template presents the assessment of severity of hazards, possible causes, frequency, and chance of occurrence related to health as well as safety. It also provides various control measures for varieties of hazards. This template enables identifying and understanding IT environment, identifying significant issues, improvement of overall performance of IT infrastructure, probing cost saving methods and categorizing network issues by comparing them with multiple customers. This template presents various network issues related to automatic server shutdown, controlling temperature and humidity, internet security, managing network equipment, remote access, back up, recovery of data during any disaster, managing passwords and more. This template enables documenting network assets, identifying security vulnerabilities and network diagrams, naming conventions, and knowing EOL status of hardware and software. It enables assessment of network performance and identifying applications as well as protocols. > How to Conduct a Network Assessment? A Network assessment is conducted by investigating various network components like infrastructure, network performance, network accessibility as well as network management and security. They are used for identifying issues pertaining to devices, circuits, network cables, servers, etc. 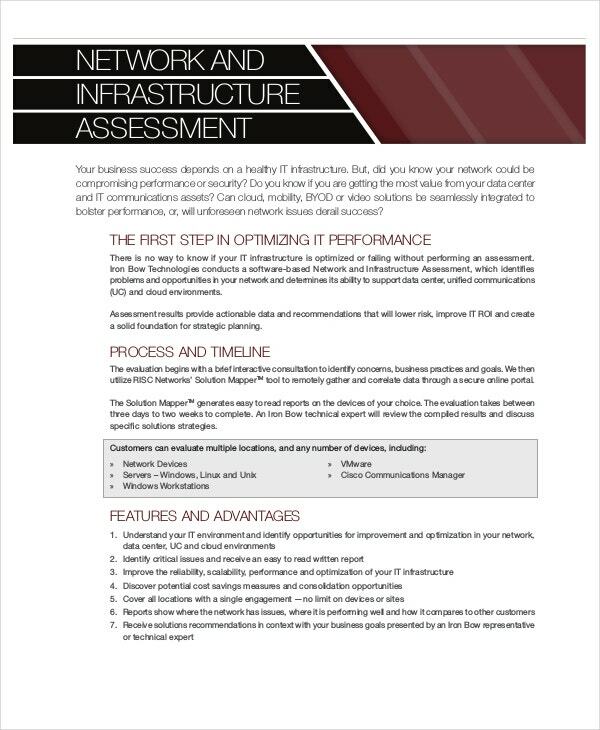 These self assessment templates are utilized to analyze the factors that affect the availability of network and formulate strategies to mitigate the issues. They can be used to define policy for security and safety of network usage and help in finding issues that affect network operations. They also look into aspects of providing network enhancements and managing network process smoothly. They enable to analyze the best practices and make design changes accordingly. 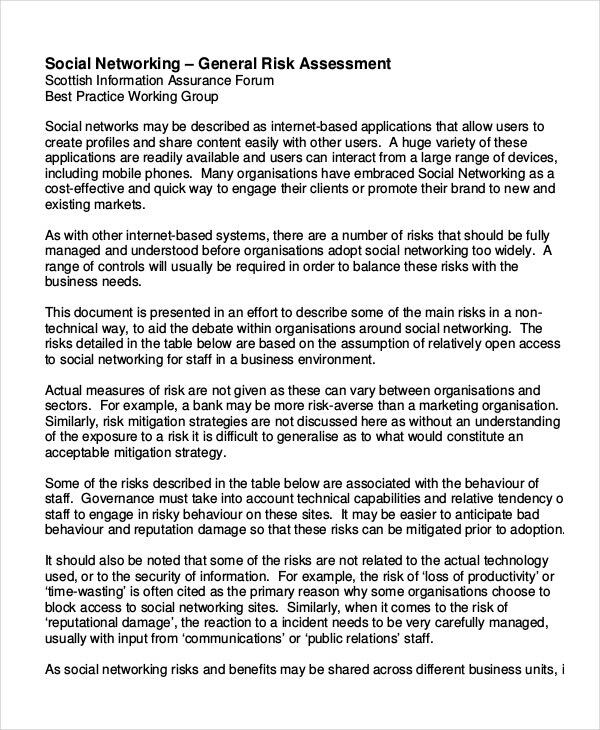 > What is Included in a Network Assessment? 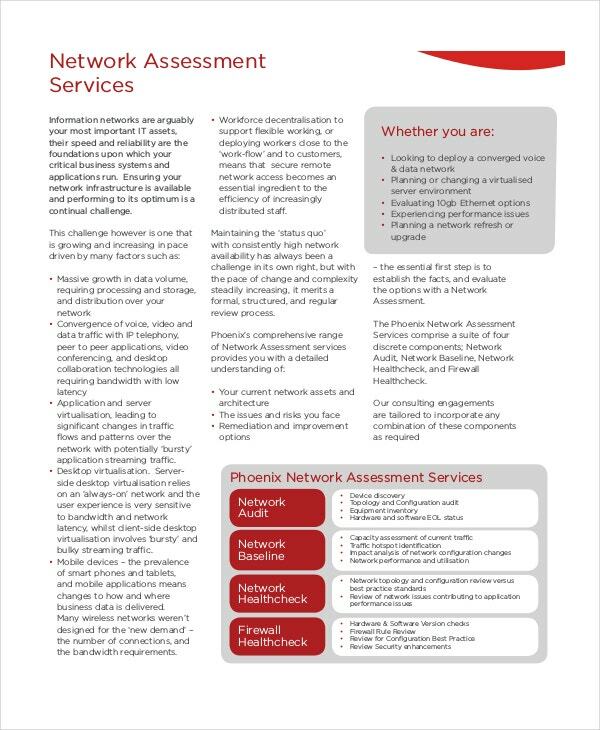 > What is the Purpose of a Network Assessment? A Network assessment is performed to ensure smooth operations of network for an organization. They are also performed to analyze when a company wants to set up network system afresh. They enable to analyze existing network systems and identify issues and recommend modifications to optimize the network operations. 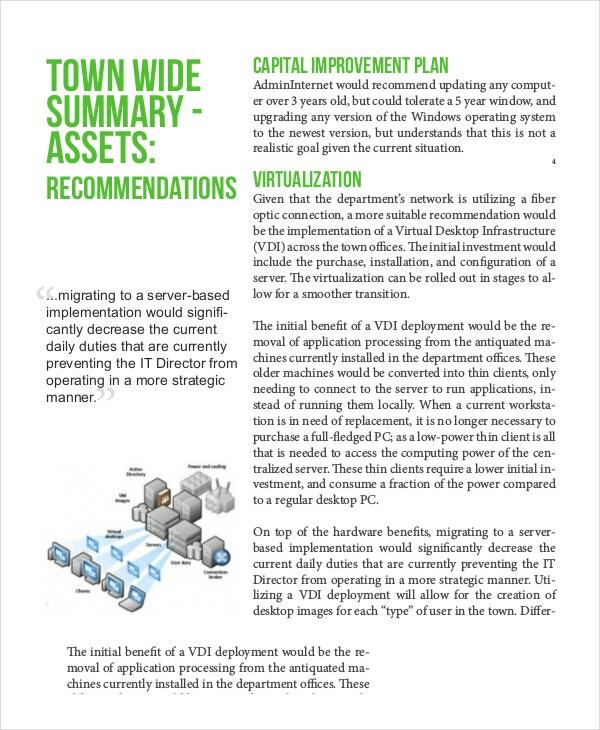 They provide cost analysis for upgrading network system and help the organization in deciding the best network system. They provide policies for naming conventions, access controls, internet accessing and security, analysis of various network models and implementing configuration management. They help to identify hidden issues in network system and enable to implement effective preventive measures. Network assessment templates provide various network assessment methods and network issues and help in preventing them. They are extremely helpful for organizations either to set up new network system or to perform network analysis and upgrade the existing one. Being similar to skills assessment templates, they are of great help to network professionals.